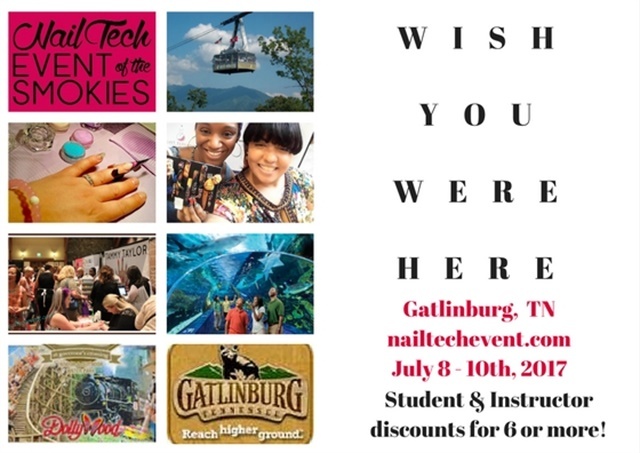 The Nail Tech Event of the Smokies, a nails-only show in Gatlinburg, Tenn., will celebrate its 10 year anniversary with “The After Party,” which will take place at the Courtyard Marriott Gatlinburg on Sunday, July 9. Free tickets were given with the first 100 show tickets purchased as a thank you to all the nail techs who helped the show reach the milestone. From 8:00pm to 11:00pm, beauty pros will relax around the courtyard fire pit and socialize inside the LeConte Ballroom, as well as network with educators. Complimentary appetizers and soft drinks will be provided; adult beverages and additional food for purchase will be available in the Bistro & Lounge. 250 limited tickets and company sponsorship options are available at www.nailtechevent.com.